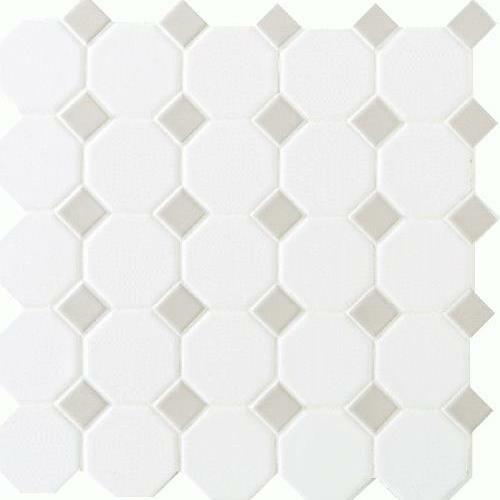 Octagon & Dot is a fashionable remake of a classic look, each of its octagon-shaped tiles is accented by four smaller tiles available in a variety of colors. 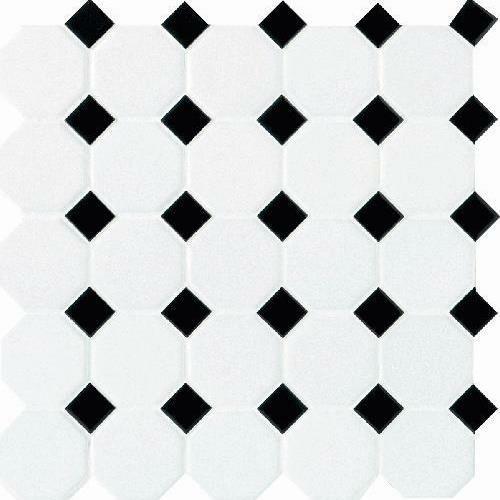 This basic patterning creates an overall effect like that of tiling found in fine homes of yesteryear. Ideal for remodeling projects. Octagon & Dot comes in pre-formatted sheets that make installation easy. 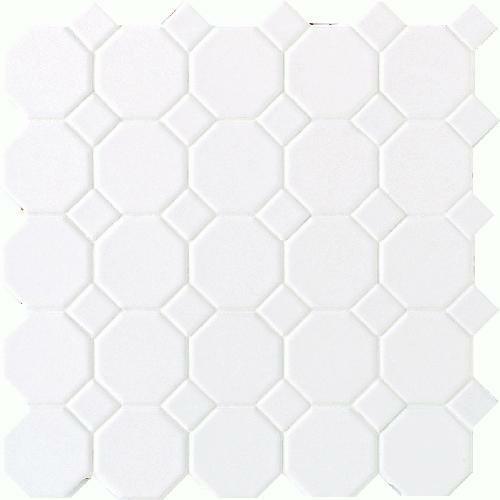 It is perfect for kitchens, baths, and other areas around the home.